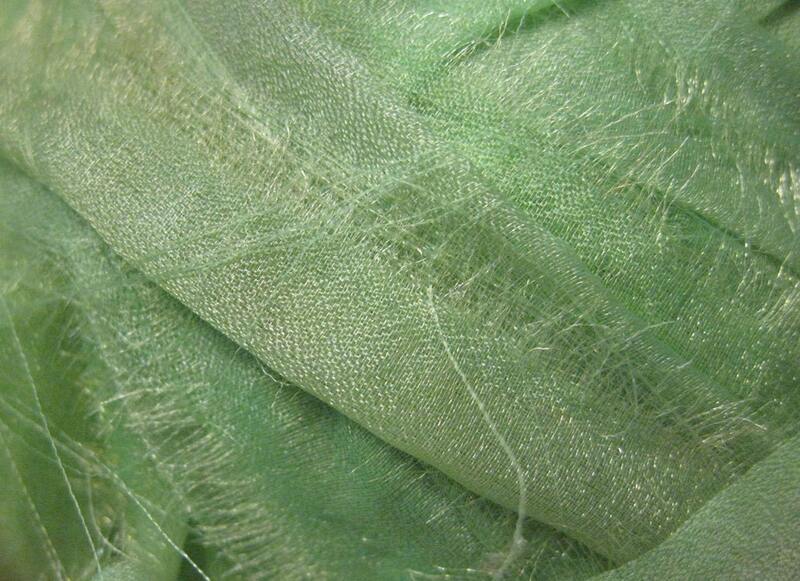 Beautiful green wispy green chiffon ribbon - I'm calling this one Pistachio Pudding! Perfect amount of ribbon for when you just need a little bit of one color for a specific project and this card of ribbon is perfect for just that. 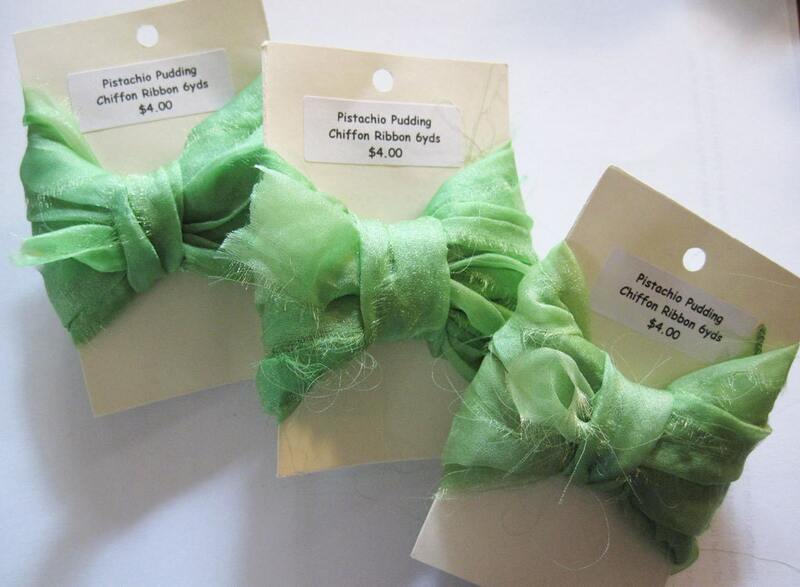 Each card has it's own personality and contains 6 yards of this ribbon - which includes varying textures and widths of chiffon ribbon - around 1/2" to 1/4" in width, no elasticity, and in a lovely pistachio green color variety. The frayed edges and irregular widths add to its unique nature. Ribbon is tied or sewn together throughout the 6 yard section by women in India and Nepal. Amazingly perfect for Knitting, Crochet, Weaving, Jewelry Making, Home Decor, Mixed Media and so much more! If you are using this for knitting, use needle sizes 9-11, and for crochet use hook sizes K, L, or M. In fact, this would be a perfect gift for someone special who loves to create!